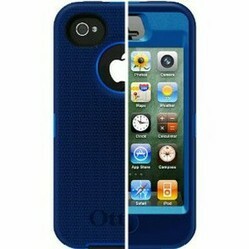 Find the best cases and screen protectors for the iPhone 4s. Keep your favorite tech safe and scratch free! Polycarbonate, silicone, leather, polymer... cases of all kinds for the i4S but which is best? If you have been using cases for your various phones for a while you will know just how many different kinds that there are. For newbies, though, I reckon a list of the options is helpful. Some only really offer scratch protection, some will absorb the shock of big falls, some will actually extend battery life. Polycarbonate hard shell cases- lightweight, rigid and tough but can scratch. The worst ones can look cheap and ugly.Top quality polycarbonare can look and feel gorgeous. Gel cases- very inexpensive, shock absorbing but prone to stretch out of shape. Not too stylish, either! Battery cases- a good battery case is ideal for long trips when your screen may otherwise blank out when you most need it. I picked out some of the best examples of each. Let me know what you think. An Otterbox- whether it is for an iPad or a smartphone- is never going to be the slimmest case around. On the hand, it is just about the toughest. The three layers of protection mean great shock absorbtion as well as scratch protection. If you regularly drop phones this is a worthwhile investment. The outer layer is a tough kind of plastic that is not too sticky (unlike gel cases) so it is easy to slip into a pocket. This new version has improved openings that don't interfere with features like the proximity setting. There are plenty of colors to chose from and a rachetting holster is included. Acase have developed a name in cases for all kinds of electronic devices with careful designs that make the best use of inexpensive materials. A feature that some will like and some might find annoying is the port protection offered by silicon flaps. You need to push the flaps aside to locate earphones and so on. It keeps out the dust but, for me, they are an irritation. All in all, this case offers a good level of protection without adding too much to the thickness of the phone- and at a good price. The best thing about elago cases is the fantastic range of colors and the neat opening that proudly displays the Apple logo. These cases are also ultra lightweigth and very slender. They will hardly interfere with signal strength, either- in the way that very bulky cases can. The downside is that the polycarbonate hard shell surface will scratch. You cannot expect too much impact protection either. Drop your iPhone on a hard surface and this case is not guarenteed to stop that sickening 'crack' which means an expensive repair. Recomended for careful people who only need scratch protection and want something more than black or pink. Incipio have come up with a useful alternative to the Apple bumper with a simple clean and light weigth design. The polymer used is lightwiegth and unlike many bumper style materials it will not stretch or sag. It will absorb shocks and has enough of a lip at the front to offer good screen protection. The fit is perfect and ports are not encroached on even after plenty of use. If you use docks routinely this should not interfere. I am wary of polycarbonate cases in general but this one looks and feels good. It doesn't have that cheap shiny look and is soft enough in the hand to feel comfortable. There are some great colors to those from and it is light and slender. A felt lining offers limited shock protection and protects against scratches to your phone. The molding is excellent and the overall fit (including port access) is as good as you will get. If you don't like your phone in your pocket and don't like to always carry a bag, a leather pouch that is secure on a belt is a good option. The better pouches are real leather and not so tight that you cannot have a bumper or slim polycarbonate case for out of pouch use. The pouch from Grantwood pictured rigth is one of the most popular with good reason. The leather is high quality and the stitching (often a weakness in leather products) is tough and accurate. 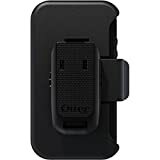 The clip is rivetted and uses magnetic catches rather than inferior velcro. This is a pouch that will last. This will appeal to anyone who simply enjoys refined design. It is practical too. The iPhone is secure inside the case and all the important functions are easily accessible. There are plenty of colors but I reckon this is one of the best pink cases that I have ever seen. If you routinely wish your i4S would last longer between recharges, a battery case can be a life saver. The Boost case (right) has an internal battery with 1700 mAh of juice which is about the same as the 4S's onboard battery. It will add many hours of extra use. It is also slender enough for regualar use though many people will save this case for use on long trips. There is no need to remove the case to recharge your phone. Case and phone can be charged at the same time. Gorilla glass is a wonderful, tough material but it is not perfect. It will pick up fingerprints for sure. It can scratch. You can get serious glare under certain lighting. Screen protectors exist to solve all these problems. There are very tough, thick shields that will even repel assaults with a drill. There are fine screen protectors that simply resist smudges and smears. If you ever trade in a phone these products can save you money. You will get a lot more cash for a used phone without blemishes.